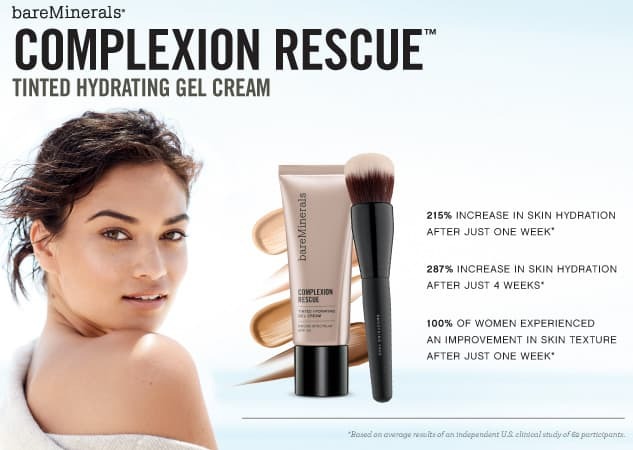 BUY COMPLEXION RESCUE and FOUNDATION BRUSH and receive a mini pot of MEDIUM ORIGINAL FOUNDATION FREE!!! Complexion Rescue Gel Cream is the perfect lightweight foundation for the summer months. With unique water capsulations, this gel-cream will increase your skin’s hydration by 215% in just one week! Imagine all the benefits of a moisturiser with colour and coverage to make your skin look dewy and flawless. Complete with SPF30, this unique product is the ultimate summer essential. Want the hydration but with a heavier coverage? 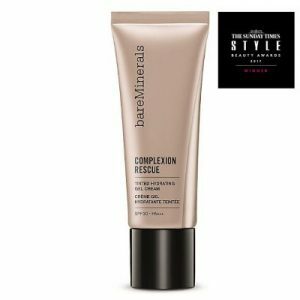 Complexion Rescue is buildable so apply a little more for a heavier finish. Or use it underneath the Original Foundation for a flawless, airbrushed look.